Only three month are gone and the deployment of “LED Lighting Control” software MADRIX has published a new version. Of course the boys took all the requests, controversies and error messages of the users to heart and put as most as possible into the new version. And in spite of the big amount of the release note of this update is, as we are used to, for free. ”Extremely compact dimensions“, “Powerful light performance”, “Great color mixture”, that is what the testers have said about the KLS-800 from Eurolite. For its May issue, the magazine Soundcheck rigorously tested the new compact light system. The KLS-800 combines the popular features of the KLS series with exceptional light performance – the testers verdict: “Easy to transport and fast to build up, that’s the basic idea of the Eurolite KLS “Kompakt-Licht-Systeme” (Compact Light Systems). The new KLS-800 features another advantage, it is equipped with innovative and powerful diodes.” Meant are the Tricolor LED chips. 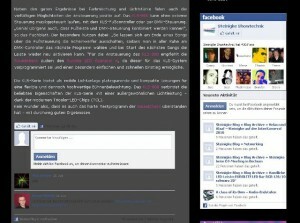 They guarantee a homogeneous color mixture. Even when looking directly into the spot the testers couldn’t see the original colors but a pure color mixture. Moreover, the KLS-800 persuades with extremely concentrated colors, a mixture of pure white and surprisingly high brightness. Besides good results in color mixture and light intensity, the Soundcheck team was particularly impressed by the variety of control possibilities. 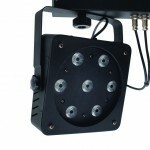 The KLS-800 can be controlled by sound, foot switch or DMX. “It’s brilliant that foot switch and DMX can be combined,” the journal says. The special benefit: “This allows you to turn off the spots with the foot switch at the end of a song, choose the next program on the DMX controller and than reactivate the foot switch”. Furthermore, the Soundcheck crew recommends using the Eurolite LED Operator 4 controller, as it is pre-programmed for the KLS series and provides quick and easy access. 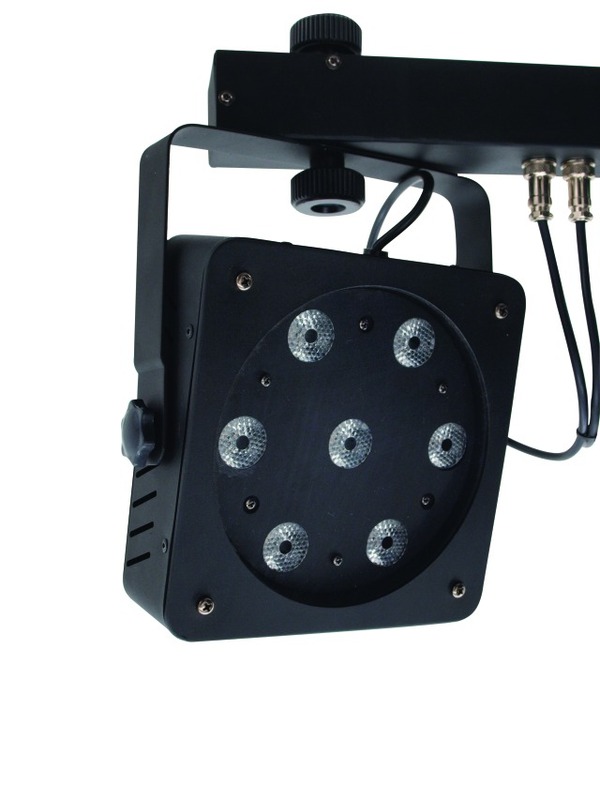 The KLS series is a mobile lighting system offering space-saving and compact solutions for flexible yet high-quality stage lighting. The KLS-800 combines the popular amenities of the KLS series with outstanding illuminating power – thanks to the sophisticated Tricolor LED chips (TCL). So it’s not surprising that it passed the rigorous testing of Soundcheck with flying colors. 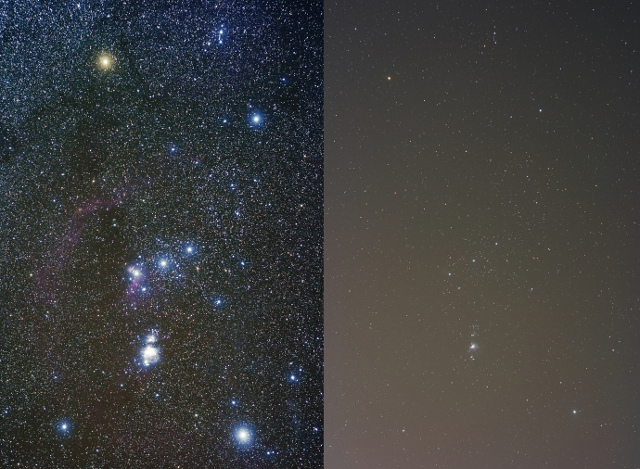 Light pollution exists, just like air pollution. It not only causes the stars to pale, but also has a negative influence on humans, animals and nature. More and more critics therefore demand: Darken the night (again). In 1846, the Berlin observatory was located in the heart of the city. Between Friedrich and Linden Streets, Neptune was discovered in the night sky. If you look into the night sky through a telescope at the same spot today, you’d have to look for quite a while to find the planet discovered back then – it wouldn’t be visible. It may sound a bit strange, but the night has changed. It isn’t as dark as in the past. The reason for this is once again: man. Through artificial lighting he has illuminated the night and has polluted the natural light. (photo: S. Barnes) In 1913, the effect of the so-called light pollution was already so strong, that the Berlin observatory was forced to flee to darker venues, in order to have a clear view of the celestial bodies. Nowadays, observatories are almost always located in very remote areas. Meanwhile, the exaggerated illumination by night has reached a critical level for many observers. More and more initiatives try to urge the population, and especially the policy makers, toward a process of rethinking. After all, the deprivation of stars is only one aspect out of many. Although, or rather because, there are so many light sources, insects and birds lose their orientation. Mosquitoes, gnats and Co., for example, determine their position by the light of the moon. The numerous street lights can certainly be irritating. For the insects, these lamps are the moon and they fly around them so long until they become exhausted and die. Now one could say, they’re just mosquitoes – a naive misjudgment. For every moth which stupidly revolves around a lamp, cannot fulfill its actual duties. It doesn’t look for food, doesn’t pollinate flowers, doesn’t reproduce. Since insects form the base of the food chain, this development has consequences for further animal species. Given that many insects, especially those living near bodies of water, are on the menu for fishes and birds, this dietary staple would cease. This insect-deprived landscape will not only become species-poor, but ecologically susceptible as well toward the mass propagation of certain species. If one considers, that in the summer months approximately 150 insects perish every night at each street light, and that alone in Germany we boast around 7-8 million street lights, you get over 1 billion “victims” in just one night. But not only insects suffer from light pollution. Migratory birds become irritated and disoriented. They fly into lighted buildings and die, partially as a result of this or due to exhaustion. According to estimates of the U.S. Fish and Wildlife Service, between 4 and 50 million migratory birds die yearly in the United States alone, because they are attracted to lighted radio towers. Turtles become distracted by artificial light as well. Due to brightly lit beaches, the offspring of sea turtles can’t find its way to the water and becomes the victim of predatory animals. Effects on other animals, such as bats or frogs, are very probable. More extensive observations are lacking, however. The human body is equally not unaffected from the long term illumination of the night sky. It reacts increasingly allergic. Insomnia is the far lesser evil. It has been suggested, that the loss of darkness even promotes cancer. But up until now, Germany’s cities have remained relatively unimpressed and seldom gamble with new concepts (lamps with narrower beam angles, other technologies or dimming of the illuminants). On the contrary. 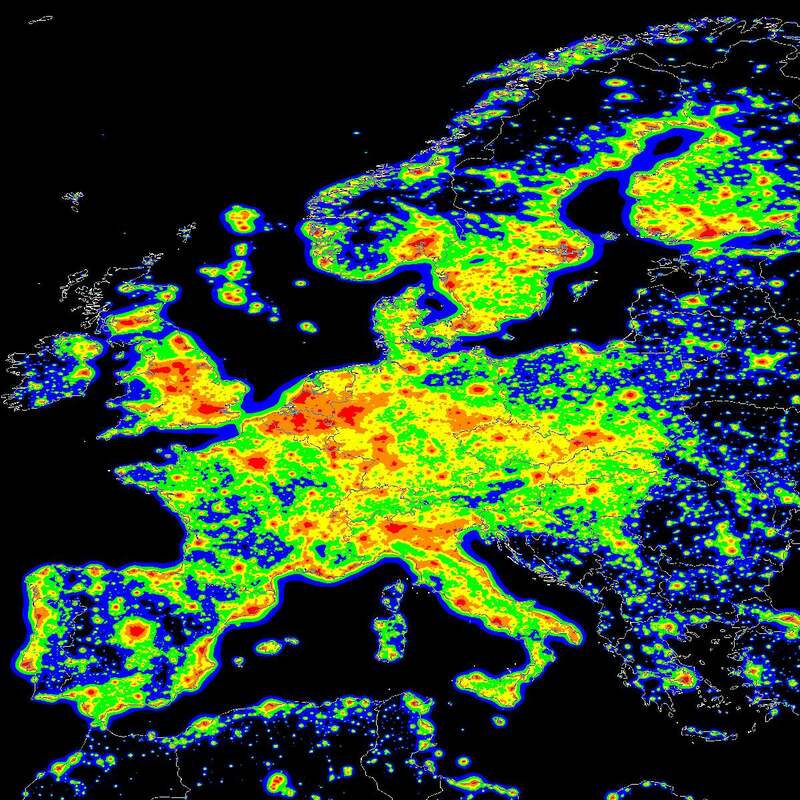 In Germany alone, the light pollution gets worse every year by several percent. More and more squares, buildings and parks are being lit – and not just in metropolitan areas. 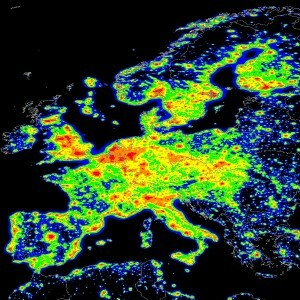 But as unpleasant as it may be, that large parts of Germany lie under so-called “Luminous Domes” and many people have never seen the milky way before, exactly how much artificial illumination is dangerous, particularly for human beings, cannot yet be precisely said by scientists – surely a welcome pretext for many of those responsible, in order not to act. Since the complied facts to date already satisfy some politicians, they’re presently acting. In Germany, the city of Augsburg with a population of 280,000, probably has the most environmentally friendly lighting concept. The inner-city street lighting has been completely retrofitted with sodium discharge lamps and supplied with dimmers. The result is not only beneficial for those directly involved, but also for the city treasury. The power consumption has been reduced up to 20 percent since then – corresponding to a savings of after all 250,000 Euros. Slovenia is a good example abroad. Here one finds prescribed maximum light intensities or a ban on sykbeamers. Furthermore, outdoor lamps may not radiate upward (as they often do here). The rest of Europe will see some changes in two years at the latest: come 2011, the old, inefficient, insect-attracting mercury discharge lamps will be prohibited. Many “Light Protectors” welcome the use of LEDs, which allow perfect positioning and trouble-free dimming – quite apart from the fact that the power consumption would dramatically decline. Whether or not it will really come to this, is still written in the stars – because funnily enough, scientists presume that white LEDs could disturb the human Melatonin balance, causing insomnia as a direct result. These scientists! 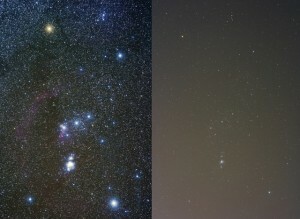 Yet even if all cities would be illuminated with LEDs, in order to properly gaze at the stars one has to do as the observatories do and leave the light of the cities far behind. Perhaps the once thought about “skyparks” will come, in which the view of the stars is unobscured, as long as the weather plays along. A substantial initiative against the excessively bright illumination calls itself “Loss of the Night”. It comprises a facilities-network of the Leibnitz-Gemeinschaft (Leibnitz-Association), of universities and of Dark Sky Germany (a subgroup of the Association of the Friends of the Stars e.V.) You can find the initiative brochure here. OMNITRONIC CMP-1200 – The digital gauntlet! With its now available CMP-1200, Omnitronic sets a new standard for reasonably priced Dual CD-Players in the entertainment sector. From now on, competing products will be measured by the high quality drives and the clearly structured and accurate look of Omnitronic CMP-1200. The player convinces with sensitive and colored rubber buttons as well as with easy-turning and accurate jog dials with mode selector (fast or frame search). The signal processors of the CMP-1200 provide an instant start within only 10 milliseconds. Moreover, they support a 10 seconds anti-shock buffer per drive: tracks can be started within a very short time and the player will always be protected against vibrations and shocks. 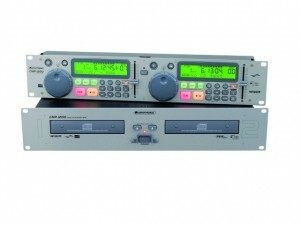 The reliable software of the CMP-1200 allows playing all common MP3 formats with constant or variable bitrate. Besides, it provides an automatic beatcounter (switchable to manual operation) as well as a seamless loop/reloop function. The pitch adjustment can be changed from ±4 %, ±8 %, ±16 % to ± 100 % (MP3 CD up to ±16 %). Optionally, tempo lock (main tempo) can be activated to remain tonal pitch constant while changing the playback speed. Thereby, it’s a child’s play to mix two tracks. All important parameters are easy to read on the alphanumeric LC displays at any time. Of course, the CMP-1200 is equipped with all main features such as pitch bend, relay function, faderstart and digital outputs. The Omnitronic CMP-1200 is available in classic black and silver.